I’m new to Miranda July. 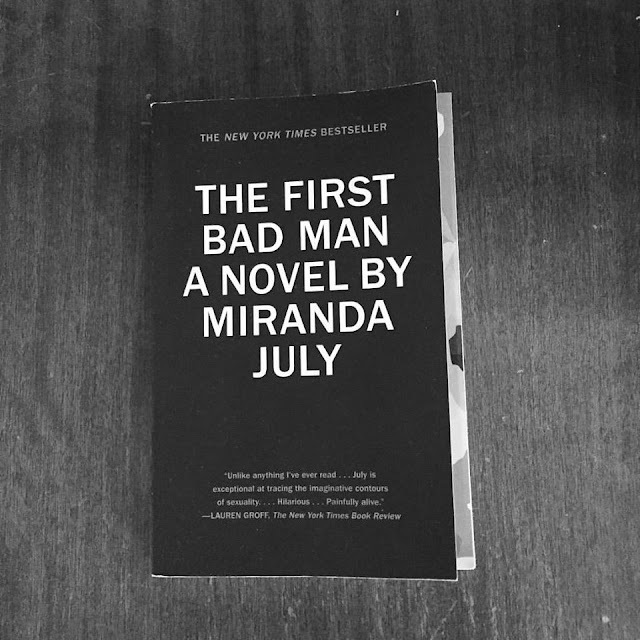 Her writing has been on my radar for a while but it wasn’t until late last year that I finally added her debut novel, The First Bad Man, to my TBR. I’m glad I did. It’s an enthralling story - and I say that mostly because of my reaction to it. At times I found myself repulsed by the characters and yet I was also intrigued by them. Often I felt unsure who I was supposed to be cheering for, or if that was even something I was supposed to do? And yet I felt drawn into the tiny world of this book, into the insular lives of its characters. I couldn’t put it down. Cheryl Glickman, the protagonist of The First Bad Man, is both incredibly complex and strikingly simple. Unintentionally funny, she is a thinker, tumbling her world and the people in it through multiple levels of consideration - I can relate to the overthinking, and yet I’m still not quite sure if I actually like Cheryl. Cheryl’s adherence to these systems reads like a defence mechanism against a world she seems ill-equipped to navigate, so when her life is disrupted by a handful of situations that later reveal themselves to be loosely linked, I can’t help but feel just a little sorry for her. These disruptions include Cheryl’s crush on a man twenty-two years her senior, Phillip Bettelheim, the connection she shares with a baby from her childhood she has christened Kubelko Bondy, who she often recognises in other babies and the psychosomatic globus hystericus that forms in her throat, forcing her to spit out the saliva that pools in her mouth. But the most significant disruption comes via the overwhelming - for Cheryl at least - Clee. 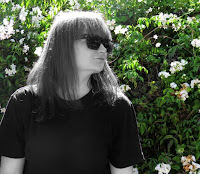 The daughter of her bosses, Suzanne and Carl, Clee comes to stay with Cheryl, and it is the clashing of their characters that becomes the strongest tension of the story. A tension which takes a dramatic and unexpected turn when the two women begin to re-enact the scenes of Open Palm’s self-defence DVDs. What I find most fascinating about July’s work is that she is unafraid to draw these seemingly disastrous characters, characters who make mistakes and terrible choices, characters who frustrate you, who you’re sure you don’t like until you read the last page and realise that actually maybe you do. Her willingness to explore the fluidity of sexuality and desire is equally as compelling as her characterisation. Groff nails my feelings about whimsical in relation to The First Bad Man (or really any art produced by women). Because this is a serious book. Despite the seeming impossibility of its characters, underneath the layers of eccentricity this is a story about love. About our desire to be loved, about our desire to love. It’s a book that challenges our ideas of love, of what it can be and how it can look. Cheryl, for all her faults, is not afraid to love, to experiment, to explore. For the longest time I’ve struggled to call myself a writer, to own the term with any real conviction. My twitter bio still says ‘person who writes things’. I’m still not comfortable with calling myself a writer and while I am carving out that space I don’t feel there yet. I’m still fighting and maybe that pushing against my inability to claim the descriptor ‘writer’ is a part of my fight. It feels apt for Cheryl, too. So much of her existence on these pages feels like a struggle to find that space. Maybe that’s why I don’t think this book is whimsical; because that fight is something I identify strongly with, something I feel deep within my gut. Maybe the point is that the need to create a space for yourself is an experience keenly felt and lived by women. And when you paint July and her work, this work, as whimsical, you dismiss that experience. There is a complexity to The First Bad Man that demands contemplation; it requires you to let the characters get under your skin, let them chip away at these ideas of love and sexuality and the lives we create for ourselves. But it also requires you laugh. That’s a damn fine combination.